Ryan Shazier clearly benefits from the 2011 Collective Bargaining Agreement. While you don’t generally tend to associate Collective Bargaining Agreement’s with football, they’ve become a fixture of the landscape, and few documents are as maligned as the 2011 CBA. If you’ll remember, the NFL owners decided to opt out of the 2006 CBA in 2009, triggering the uncapped year (which, as it turns out, wasn’t so uncapped) and then lock out the players following the Super Bowl XLV. Teams could tender 1st round draft picks with an option year that was fully guaranteed for injury. The Steelers made use of this provision with Cam Heyward and David DeCastro, opted not to tender Jarvis Jones, but did extend the tender to Ryan Shazier. According to OvertheCap, as a rookie Ryan Shazier signed a contract that was just shy of 5.6 million dollars in value, including a 1.3 signing bonus. The tender Ryan Shazier signed was for 8,718,000 million dollars, and he’ll see every penny of it. 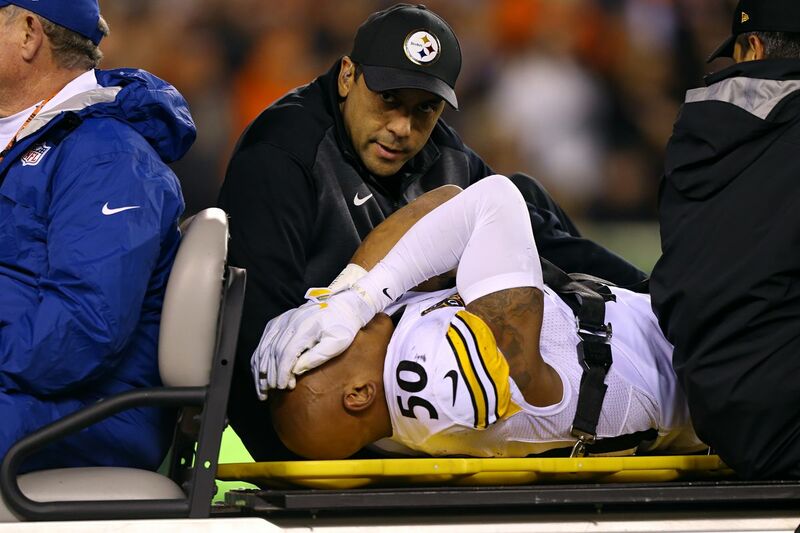 It is far too early to know if Ryan Shazier will ever play football again, and that is not the team’s nor his focus. The fact that he needed spinal surgery is not promising, but it is at least theoretically possible that he’ll play again someday, provided that he wants to. Let’s be clear, Ryan Shazier was blossoming into one of the best, if not the best inside linebacker in the league. Shazier was showing he was something special. Perhaps it was too early to say that he had Troy Polamalu type talent, but he was arguably on a trajectory to be better than Lawrence Timmons in his prime. Had Ryan Shazier not been injured against the Bengals, the Steelers would have likely tried to sign him to a long term deal, which if the numbers on Over the Cap are any guide, probably would have averaged 10 to 12 million per year, and could have included upwards of 15 million on guaranteed money. Clearly, the injury to Shazier will be costly in financial terms. But 8,718,000 million dollars is a lot of money, far more than anyone reading this will likely ever see in their life times. Assuming Shazier can resume a normal life, as most reports indicate he can, he should be able to take care of his family. Here’s to hoping that, regardless of whether he plays football or not, Ryan Shazier’s “Life’s Work” will provide him with comfortable living. But he’ll have a head start thanks to the dreaded 2011 CBA between the NFL owners and the NFLPA. This entry was posted in Steelers 2017 season and tagged Cameron Heyward, David DeCastro, Jarvis Jones, Lawrence Timmons, Pittsburgh Steelers, Ryan Shazier, Troy Polamalu. Bookmark the permalink.